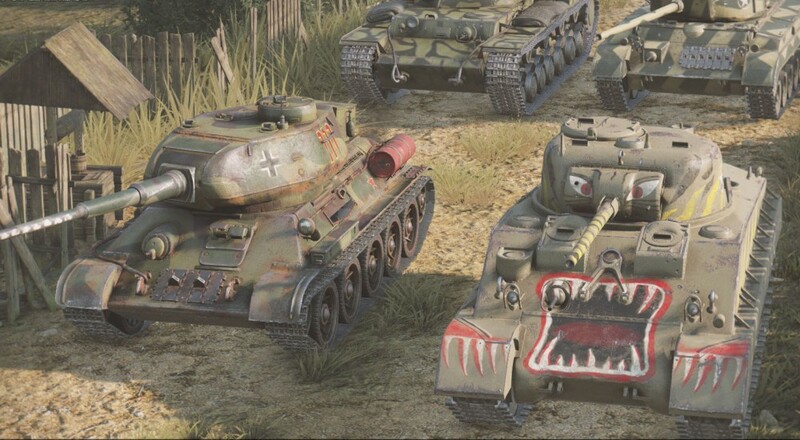 The latest update to the console version of Wargaming.net's popular tank battler, World of Tanks, has tweaked the existing training area ("Proving Grounds") to allow up to two online players to team up together and take on a variety of co-op scenarios. Players can earn in-game experience and silver, but it sounds like it will be less than in the standard PvP modes. There are a total of four scenarios you can tackle with a friend that have been included as part of this "Co-Op Assault" update. While this does sound like it's intended to use as a way of learning the game mechanics so you can then go on to battle against live human opponents, as a free-to-play title, nothing's stopping you and a buddy from just enjoying some occasional tank co-op this way. The difficulty of the enemy A.I. is based on the tier of the host player's tank choice. The higher the tier of the tank, the more difficult the A.I. will be. World of Tanks is available now on the PlayStation 4 and Xbox One. The co-op scenarios in "Proving Grounds" support up to two players online. Page created in 1.0201 seconds.